For baritone saxophone and piano. 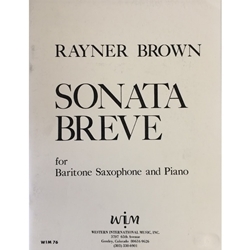 Composed by Rayner Brown. Published by Western International Music Inc.